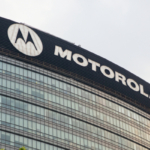 Highland Wireless: Providing In-Building Distributed Antenna Systems (DAS) > Blog > Blog > What Sets VHF Radios Apart from UHF Radios? VHF and UHF radios may look the same, but they operate on different frequencies. The best option for your business is circumstantial, and each has its own drawbacks and benefits. 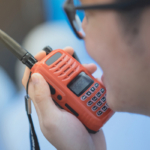 For starters, VHF (very high frequency) radios are great for tightly-packed urban environments, while UHF (ultra-high frequency) radios are ideal for wide-open spaces—such as large fields or out at sea. Continue reading to learn more about these different types of radio frequencies. UHF radios run on a higher radio frequency spectrum than VHF. As a result, it is easier for the signal to move through concrete and metal structures, as well as natural barriers like trees. That’s why UHF is commonly used in dense urban environments, as well as heavily forested terrain. In addition, UHF is commonly used inside of buildings because it can transmit signals even through thick walls. 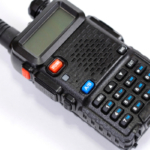 UHF radios generally have a shorter antenna and are often more compact than VHF radios. You can further boost radio range by adding an extender on to the antenna. Although, this will extend the length of the otherwise compact antenna, which might make it cumbersome for certain uniforms. VHF radio signals are on the low end of the frequency scale when compared to UHF. Although, VHF signal wavelength is longer, allowing it to travel farther than UHF. If you are planning to use radios outdoors and want farther signal reach, VHF may be the right option. Aviation and marine communication are conducted exclusively on VHF radios. They are also used by outdoor security personnel, maintenance workers, and in wide open fields, from golf courses to concerts and other large outdoor festivals. VHF signals are not able to move as freely through metal and concrete like UHF can. 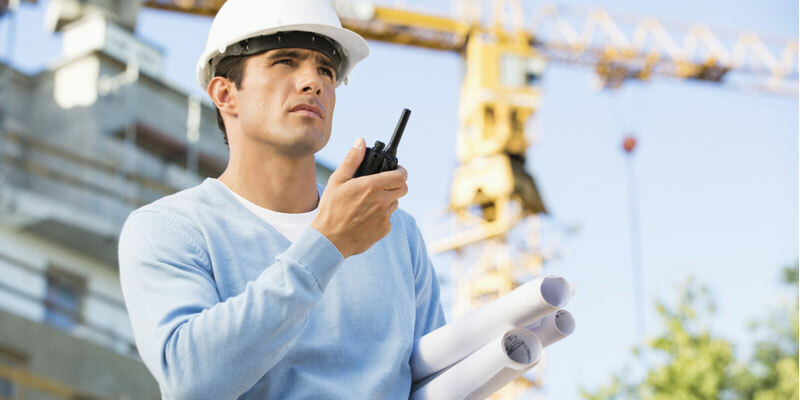 Therefore, VHF is not always the best option in dense urban areas or inside large buildings. Instead, this signal operates best in an area that is wide open. Marine VHF radios operate between 156 and 174 MHz. Equipment for this radio system is installed on all large ships and other watercraft. It is also used on lakes and rivers, although there are different regulations based on the body of water. VHF radios are reliable and used for a lot of different purposes including search and rescue, as well as maintaining communication between ships and harbors, marinas, and so forth. Also, this type of radio is capable of receiving weather radio broadcasts as they are made available. There are regulations on VHF radios. For instance, they must be capable of sending out a distress signal with the push of a button. This is technically known as “Digital Selective Calling.” There are both simplex and duplex transmission channels used for VHF radios. Simplex transmissions only allow data to transfer in one direction at a time, as the radio works as a transmitter and a receiver. Duplex transmission channels allow communication to work in both directions. Furthermore, transmission power is typically between 1 and 25 watts, with an average signal reach of 60 nautical miles when the aerial is placed on a tall ship or hill. 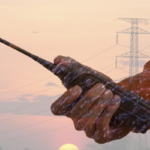 Unsure if you need a UHF or VHF radio? Give us a call today, our experts are happy to help guide you in the right direction.